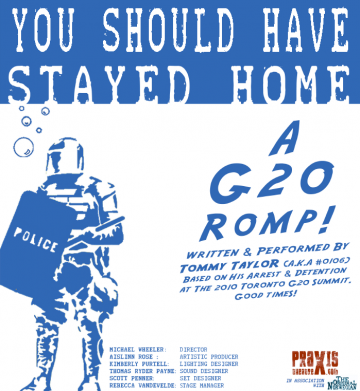 You Should Have Stayed Home – A G20 Romp” the one-man play written and performed by Toronto G20 detainee Tommy Taylor is our event of the weekend. An important yet entertaining production that invites Ottawa to volunteer for a 10min scene and attend for free. A globally relevant play it covers the 48-hours in Toronto when bystanders, tourists, peaceful protestors, kids as young as 16 and even a uniformed TTC driver were swept up by police and detained in appalling conditions without access to water, food, phones or legal aid. For anyone interested in important news stories, Canadian events or Civil Rights this is a must-see production. Friday & Saturday 8pm (7pm for volunteers) @ ArtsCourt, 2 Daly Ave.
Saturday support local and win big! It’s the annual Bettye Hyde Trivia Night. The event held at All Saints (317 Chapel) is a FUNdraiser in support of the Co-Op nursery’s move to the beautiful Carriage House at 43 Blackburn that is set to become a entrepreneurial hub in creative Sandy Hill. There’s a cocktail party and silent auction from 5:30-7:30 (free admission & cash bar) followed by the Trivia night that kicks off at 8pm. Businesses donating and supporting include: 18, Social, Murray Street, Saslove’s, Chateau Laffeyette, A Curious Shop, Mrs Tiggy Winkles, Magpie Jewellery, Road Trip Clothing and so very much more! If your not quizzing on Saturday then post cocktails we’ve lots of local options including Mark Forward Live! 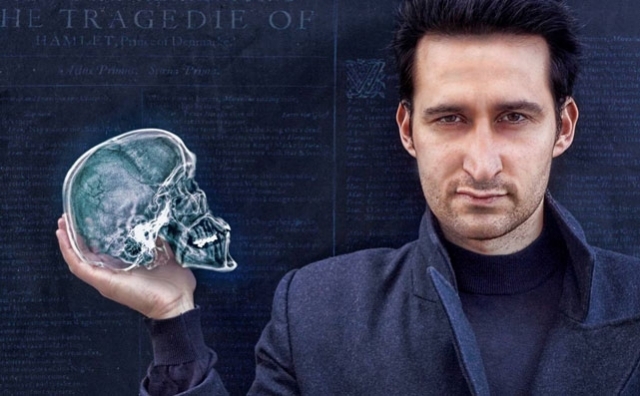 at Ottawa Little Theatre , Hamlet (Solo) concluding its run at the NAC or some Opera at Uof O with Menotti’s The Old Maid & The Thief. Sunday afternoon its the Ottawa Youth Orchestra at St Brigid’s Centre for the Arts, 310 St Patrick, 2:30pm. 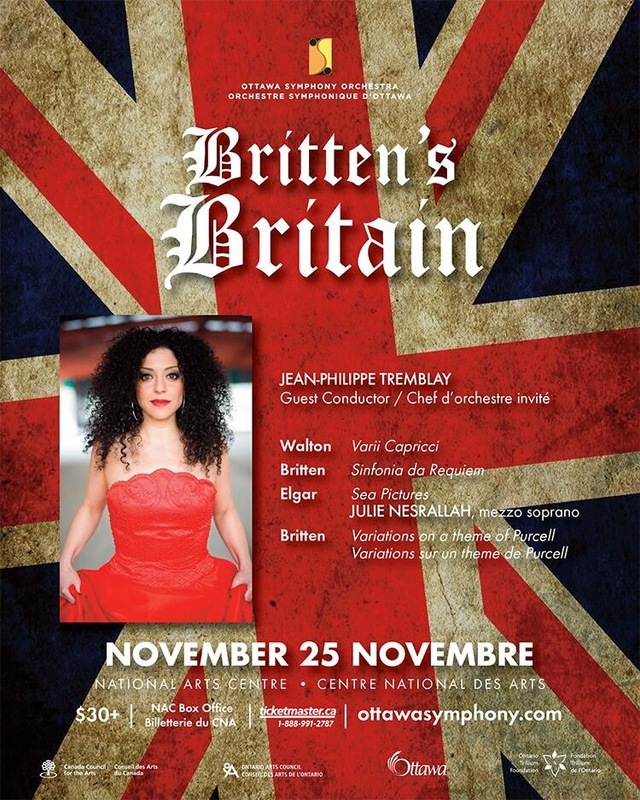 And Monday continue your musical journey with the Ottawa Symphony Orchestra’s performance of Britten’s Britain, w Julie Nesrallah, 8pm.